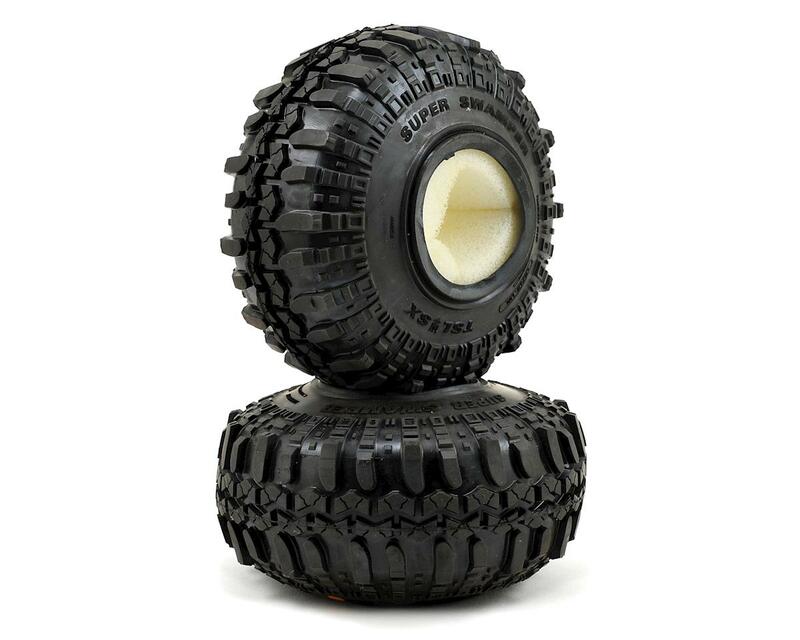 This is a pack of two Pro-Line Interco TSL SX Super Swamper XL 1.9 G8 Crawler Tires, with included memory foam inserts. 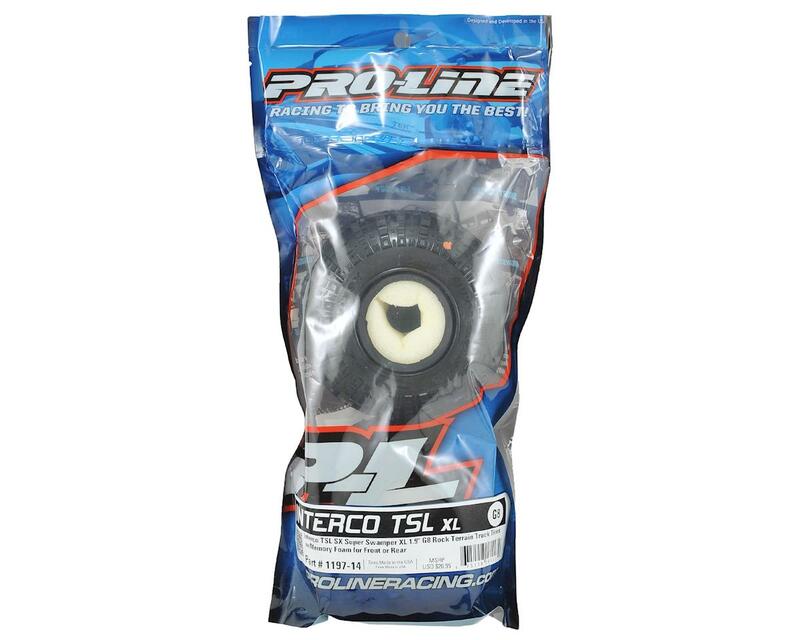 Under official license from Interco Tire Corporation, Pro-Line is proud to announce the 1.9” TSL SX Super Swamper XL in the legendary G8 compound. With “almost scale” not being acceptable and access to Interco’s design data, Pro-Line’s engineering staff has reproduced the Super Swamper in a scale configuration matched by none. The 1.9” XL is perfect for scale crawlers that want maximum ground clearance and unmatched rock crawling performance. Compared to the original Interco 1.9” Swamper tire, this XL version of the best selling Interco tire nearly a half an inch larger in diameter (.45” taller) giving you the height you need to tackle any obstacles. It’s also ¼ of an inch wider than the original, delivering optimum handling, durability and longevity. Choose from Legendary G8 or Super Soft Predator Compounds! Awesome tires. Super grippy. Works great in wet or dry. Highly recommend. Mounted perfectly to the Proline Faultline 1.9 beadlocks. Stock foams worked well but I upgraded to the Proline dual stage foams later. The worst tires I've ever tried to use. They will not mount to RC4WD, Vanquish, Axial, or even Vaterra bead locks, and I even tried small foams because they just wouldn't work with the included foams. The bead is just too big. Actually, I think the foams may be the issue, they are 2.2 extra large memory foams stuffed into a 1.9 tire, and I think they may stretch the bead out on the tires. I've mounted just about every other 1.9 crawler on the market with no issues, but these have been near impossible. I may just try to mount them on a set of narrow 2.2's because thats the size they seem to be.